Flat #4: This studio suite at the Yamhill Flats is spacious in size and residential in feeling. With a splash of color, this suite features a vivacious modern full kitchen, supremely comfy queen bed, ample clothing storage, a small dining table and seating. The en-suite bathroom features a beautiful tiled shower-tub combo, lots of lighting, plush towels and a hair dryer. All communication was via e-mail. Organization members where prompt, friendly and very helpful. The studio apartment was wonderful. So lovely, comfortable, clean and inviting. I'd recommend the location and the suite to anyone wanting to stay in downtown, the location, the furniture, bedding, appearance, the peace and comfort are worth it. I loved it. I would love to come back. Its like coming home! Charming, warm, great amenities, spotless, and quick,easy, secure access. 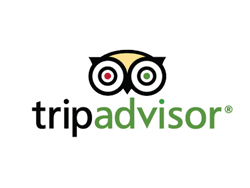 Cheyenne was quick, easy to work with to find what we needed, very professional yet personable. Yamhill suite#4 exceeded our expectations. 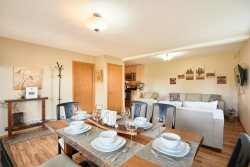 The apartment is absolutely charming, spotless, wonderful amenities, centrally located in the Willamette Valley wine region and the city of Newberg. We reserved this at the last minute and was very easy and quick to accomplish. What a wonderful surprise this was for us! Such a great bargain! We will definitely rebook! The team members were all very friendly and helpful! Stay was great! The space was clean, modern, and we had everything we needed. It was very nice that cheese and crackers were left for us - a very nice touch. Otherwise, we loved the location and space. We had a great stay in Yamhill Flats! It was clean, beautifully decorated, and had everything we needed. We made use of the kitchenette for making our morning coffee and liked that we had the option of cooking or storing groceries in the refrigerator. The location was also wonderful in downtown Newberg - we walked to dinner at a delicious restaurant every night, and we were also centrally located to many nearby wineries in the Valley. We would definitely love to stay again at Yamhill Flats for our next wine country trip!